Ever wonder what the rules are out on the water? 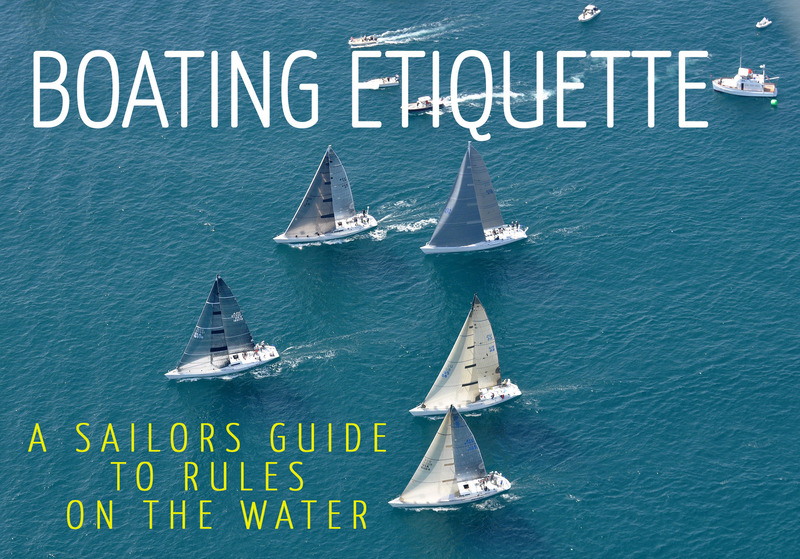 Whether you’re behind the sails or have a motor running, we’ve got the quick list of boating etiquette. A boaters guide to rules on the water, so that you can know or at least act like you know what you’re doing next time you’re on the water. Missed our post on What to Do in a Storm on a Sailboat? Read it too. DO – Get everything ready before launching. Get the sails out, the lines ready and the mast up. DO- Have the driver of the boat launch and then pull over at the dock to allow passengers to climb aboard. DON’T – spend time draining or taking down sails ON THE RAMP when loading back on to the trailer. Take the sails down while on the water and then bring the mast down, Drain, clean and wrap up everything in the parking lot. DO – Get your fuel, pay and move on as quickly as you can so other boaters can dock and fuel up. DON’T – Stay parked at the fueling docks while picking up groceries or running errands on land. Move you boat to another temporary dock or anchor. One of the biggest cause of accidents happens when two or more boats in a tight space (i.e. the harbor, marina, narrow channels, entrances and exits, etc.) Go to fast and get caught in a bad situation and inevitably run into another boat the dock or anything else. Slow down, go slow, wait your turn, there’s no rush to pass. When one boat wants to overtake another, who has the right away? The sailboat will always have the right-away if it’s without motor power. Because a motor boat has more control and does not rely on the wind to change direction, the motor boat should pull to the side and let the sailboat overtake. Whoever has the faster speed and more control will generally be the one to overtake. Every situation will be different so make a quick assessment. Only overtake if you are waved on by a slower boat. Make your intentions clear, give a friendly wave and move along quickly. DO – Be watchful as to how all the other boats have anchored around you. Follow their lead in tying off their boat. DON’T – Anchor too close to another boat. DON’T – Be that noisy or obnoxious neighbor. You never know who might have an early wake up call or trying to rest before another big day at sea. If you have children or pets on board with you, make sure you are at enough of a distance that you won’t be disturbing anyone. It’s an unwritten rule that sailors should be willing to help lend a hand when needed. If a fellow sailor or boater is in distress, take a minute to see what they need and how you can help. If your dock neighbor needs help with a quick fix, taking down the mast or reeling him in when he throws you a line. Do it. You’ll have better relationships with your fellow sailors and they will likely return the favor next time you need help. And if you want any more tips for boating etiquette check out this info graphic we found from Black Prince, we promise you’ll get a little chuckle! Thanks to our friends at Discover Boating and Black Prince for helping us compile our boating etiquette.